COMMENTS: The pure Grapefruit scent is true to it name. Smells amazing. COMMENTS: I really enjoy the quality of this essential oil. It has a really rich "juicy" grapefruit smell. It works beautifully in cold process soap. The smell lingers for a while. COMMENTS: One of my top 3 favorite EOs and scents in general. This Pink Grapefruit smells so delicious, exactly like a juicy fruit. It is a dream to work with, and have never had a problem in CP at all. I mix it with the P. Grapefruit FO, and what remaining CP soaps I have still have a lovely grapefruit scent. This is one I make sure and never run out of, and have also used it to cut other scents that seem too sweet or need a little zip. No discoloration or acceleration. COMMENTS: Love this scent! Very uplifting, will purchase more. COMMENTS: I ordered the BIG size after reading all of the awesome, glowing reviews. I really wanted to LOVE this EO! However, it's just too faint for the kind of scent I want in my MP soaps. Honestly, even just opening the bottle and putting your nose over it, it's still not very strong. I'm new to this, so this may just be a problem with ANY grapefruit EO, I really don't know. I'm sorry I bought the big size because it's just too faint to use in my soaps. Going to try it in sugar scrubs to see if it's strong enough for that. It is a lovely, fresh scent if you don't mind how faint it is. COMMENTS: Very like the fresh grapefruit. But it goes away very fast in the cold process soap. COMMENTS: Used this in homemade body butter, great scent ! COMMENTS: It makes my soaps, lotions, and creams come alive with the scent of fresh cut grapefruits. The aroma attracks my customers from across the room as it fills the air. I love this scent and will continue to purchase it. COMMENTS: I love grapefruit eo and this one is perfect. It is a staple in my citrus blends. "One of my (and my customers) favorite EO"
COMMENTS: I used this blended with a touch of a FO for many products. My customers requested me to keep this blended scent year-round. COMMENTS: I have tried several grapefruit EOs and FOs and this is my favorite one so far. Would love to try it in CP or CPOP. COMMENTS: I have always loved grapefruit, and particularly the pink. It seems softer and slightly sweeter. It behaves fine with all of my products, and I use it alone or blended with other oils. One of my best sellers blends this with a very small amount of geranium and rosemary. COMMENTS: I use essential oils to scent my lip balms and Scrubs. I am always worried about switching brands because they never smell the same or or the same quality. This grapefruit came in and smells wonderful. I do wish the container had a dropper though. COMMENTS: This is a terrific, clean, sweet citrus scent. Colors products a light pink-orange, just like grapefruit. When I explain the color to customers and why it's not a true pink, they're delighted to learn I used the EO and not a FO. COMMENTS: Another great Scent to add to my line! Thank you WSP! COMMENTS: This is more sweet than I expected and I'm thankful for that. Possible new favorite. I appreciate the ability of the product to perform as expected. I was very pleased. It made great soap and I will continue to purchase! COMMENTS: If you are looking for an invigorating smell this is a must for you. It's nice and fresh. Very uplifting. COMMENTS: I am not a grapefruit eater. In fact I find them to be quite bitter. But for some reason, I love the smell of grapefruit soap! I find this essential oil to be almost addictive. I have a hard time putting this soap down when I'm washing my hands with it. It's awesome! "Use This ALL the TIME! Love it!" COMMENTS: By far, one of my most used EO's! Will always keep in stock. COMMENTS: Tried many grapefruit fragrance oils, & this is by far the BEST !! My #1 best seller in all products. COMMENTS: I haven't yet tried this as a solo fragrance in CP, but it was lovely in a rosemary/mint blend I did. Not sticking enough to be in your face, but still contributes to the blend. If it doesn't stick in CP I'll try it in HP or in body products. Its really nice and helps with migraines. Blends nicely with orange, patchouli, mint or lavender. COMMENTS: Popular unisex scent. Light breezy aroma loved by all. Can't go wrong with this one. COMMENTS: Love essential oils. This one does not stay in CP soap though but I still love it! COMMENTS: Hands down my FAVORITE grapefruit EO from any company ever. It's like getting spritzed in the face with a fine mist when I cut into the grapefruit. Not musky like other companies this is the freshest truest best grapefruit I have ever used. So good I put it in my water diffusers! Makes the BEST sugar scrubs, haven't used it in CP soap yet as they don't usually come through well, but I am going to try! COMMENTS: I love this stuff. I make a cp citrus soap with it. COMMENTS: I'm very happy with this essential oil. Smells very fresh. Will buy again. COMMENTS: Grapefruit EO is my favorite! It's wonderful by itself, but works great mixed with other essential oils too. It has such a nice sweet smell to it. COMMENTS: Smells so fresh and yummy. Great in my loofah scrub soaps. Will be buying a larger bottle next time. COMMENTS: Wonderfully clean citrus scent. Makes my soap smell like it should be in a spa. Customers love it! Will be ordering again! COMMENTS: I use this for so many products - my customers love it. COMMENTS: LOOOOVE this scent, it's my favorite. I use it in my bath salts and it's so heavenly. 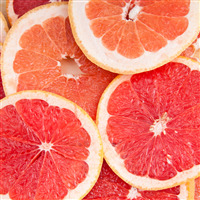 "Crafters Choice™ Grapefruit (Pink) EO - Certified "
COMMENTS: This is a great wake me up scent in the morning. LOVE IT! "Nice scent and love that it is all natural!" COMMENTS: I try to keep my products all natural as much as possible so love this essential oil it has a nice pink hue and smells so fresh and bright. It worked perfectly in a lip balm recipe and I can't wait to find other ways to use it up. Great price!! COMMENTS: This is the first oil I have bought in my entire life! I have just started making melt and pour soap. The grapefruit scent smells amazing! It works really well in my soap. To me, I want lots of fragrance in my soaps and this oil didn't disappoint. It has a refreshing, clean, citrus scent. The 2 oz bottle is just a great deal for the price too. It's the best price I have found. COMMENTS: This is a juicy pink grapefruit essential oil. But alas, as is the case with most citrus, it disappeared in CP soap. Still lovely in lotions and scrubs. COMMENTS: I love this scent... Sweet but not too sweet. The grapefruit stays true after soap is cured!!!! COMMENTS: Smells delicious! Clean and crisp fragrance. Popular with customers as well. "Can't get more grapefruity than this!" COMMENTS: Perfect grapefruit fragrance. There's no doubt what this one is even blindfolded. Great staple essential oil to have. COMMENTS: A nice addition to my collection. COMMENTS: This. Smells. Amazing. I absolutely love this essential oil! It is a great additive to my cold process soaps. So refreshing! It is one of my favorites by far and I will definitely be ordering more soon!! Try it! You'll love it. COMMENTS: Smells just like a pink grapefruit. I love this EO. I will reorder in a larger size. COMMENTS: Love this e/o in my scrubs and soaps...Very refreshing, crisp and clean. After I use my shower gel, I can smell the pink grapefruit throughout the whole house. Will always have this scent in my line. COMMENTS: This was so wonderful and fresh! A huge seller this summer with the heat so bad. "Smells great in anything it's used in"
COMMENTS: This EO is another staple that we can't live without, its fabulous when used blended with other EO's or alone. I even added some of this to Viva La Juicy to add a little citrus scent and it turned out awesome. I tend to go easier on using this because it can be a little tough on skin, especially if you use exfoliates...but in a creamy coconut milk soap - OMG, this is the best Grapefruit scent you can get. It has a natural orange color to it, so just be prepared for that if you are going for a certain color, personally, I've never really had much a problem with it in cold process, it does seem to speed things up a tad, but it has never caused a major issue. COMMENTS: I love the smell of pink grapefruit, this one is juicy and zesty. Perfect for stand alone or blended with other FO's and Eo's to make a unique fragrance! COMMENTS: Yes, this is an expensive grapefruit essential oil BUT it is so worth it. The other pink grapefruit EO's I have seem watered down in comparison and WSP's is the one I reach to for my recipes. It's straight up beautiful. COMMENTS: Used it on cold process soap combined with Sweet Orange and it smells great. COMMENTS: Behaves well and is long lasting in my CP soap. Love! "Grapefruit (Pink) EO - Certified 100% Pure 141 "
COMMENTS: Grapefruit scent in and of itself isn't my personal favorite. Just because its not my thing. However, this scent is right on. Smells exactly like freshly squeezed grapefruit. Customer favorite! COMMENTS: This scent is so good in my salt scrubs I can't stop smelling it! I also still have some CP soap from several months ago and the scent is still strong. COMMENTS: Oh my goodness this is so wonderful. I want some grapefruit juice when I use this oil. It is just delicious smelling. Takes only a few drops per use and is slight orange pink like true fruit. I barely need need any other other colorant with this. I buy it in 1 lb. bottles and run out as fast as I buy it. Yummy!!!! COMMENTS: I used this product in a cold process soap, I felt the fragrance a little fleeting, so I anchored it with a bit of bergamot essential oil. It is a kind of crisp peppery sharp citrusy result. It performed well, did not accelerate too quickly. "This definitely stays well in HP soap." COMMENTS: I love this as an alternative to orange eo. This scent stay well and boosts lower notes. Exactly what i wanted and soeant accelerate trace. Love it! COMMENTS: I use this with other oils to make an amazing smelling room spray, in every room. It has an amazing clean fresh citrus summer scent. COMMENTS: This is a perfect scent to get your day started! It is a true yummy eye opener! A small amount makes a big bang! This scent is one of the firsts to clear of my shelves. Even men find this scent appealing. COMMENTS: Pink grapefruit is a staple in my essential oil collection. I use it in many, many blends to add a touch of bright sweetness. Alone, it smells fresh, clean, and uplifting. Wonderful essential oil! COMMENTS: I love the clean, crisp scent of this eo! It is the first I have purchased, and the soap smells divine. "Crafters Choice Grapefruit (Pink) EO "
COMMENTS: This oil has become a huge seller in my melt and pour soaps and body lotions. The aroma emits it's beach time and delights the senses. Sensational! COMMENTS: A well rounded delicious and fresh grapefruit - a must EO to have in any collection! Didn't discolor, held true in hot process, fantastic scent in lotions. A customer favorite! COMMENTS: The aroma from this essential oil literally makes my mouth water. It has all of the tartness of a ripe grapefruit and lasts long after being incorporated into my soaps. COMMENTS: Essential oil smells amazing!! Makes me crave a grapefruit. COMMENTS: Always a favorite with my clients! COMMENTS: If you want grapefruit, this will give you grapefruit. It's a fruity, happy, fresh citrus that will not overpower the other scents in a blend. I fully recommend this to anyone who is a serious soaper! COMMENTS: I am very happy with the scent of this oil and plan to continue experimenting with its use. I did find, however, that I will have to use more to make it stick or add an additional base type oil for endurance. COMMENTS: Bought this to combine with the orange EO in an attempt to mimic a scent that WSP used to carry - Orange Grapefruit, took a few tries to get the right combo, but it's perfect & customers love the scent & the fact that it's EO's & not FO's. Price is very reasonable. COMMENTS: I LOVE GRAPEFRUIT...this essential oil fits my grapefruit-y needs! If you are looking to make a fresh, sweet, tangy scent, use this grapefruit oil! It is EXCELLENT! I LOVE it, and so do my customers! COMMENTS: I absolutely love this EO! I got it to replace the Lemon EO I was using in a fragrance blend (lemon was just too.... lemony), and was thrilled with how it turned out. I was worried that Grapefruit EO might be a little bit bitter, but this one is very tart and sweet and you can practically smell the juice! I will be buying a whole lot more of this in the future. Just a fun note- this pairs really beautifully with the "Champagne Kisses" FO that they carry. Simply divine! COMMENTS: Beautiful scent and it goes a long way. A few drops will suffice. COMMENTS: VERY NICE AND STRONG. BE CAREFUL IT IS VERY DARK. "so fresh & so clean!" COMMENTS: I love a strong clean scent & this essential oil was PERFECT for my scrubs without being overwhelming. I hate lotions/perfumes that smell like food, but this isn't a food scent, its a clean scent! Smells like heaven! COMMENTS: When I use this in my both bombs and lip balm I just want to eat it! This works so great all by itself with out mixing with another FO. COMMENTS: This essential oil smells amazing. I know that citrus essential oils tend to fade in CP soap so I used 1oz ppo. It comes through and smells great. Also great in blends! I will buy this again. COMMENTS: I finally got around to making a cp soap out of this eo. It turned out beautiful and smells heavenly. Wish I hadn't waited so long to make it. Great price for a wonderful product. COMMENTS: Always a huge seller however, I have always used essential oils from the local vitamin stores. Huge change but for the better, more product for your money AND its stronger! All my essential oils will be purchased from here from now on! COMMENTS: Love this scent. Customer's love it too. COMMENTS: I absolutely love this scent and I'm so glad that WSP carries it! COMMENTS: We reluctantly used this scent in the whipped body butter recipe and we are quite pleased with the results! A nice, crisp citrus smell. Great addition for our scent selection. COMMENTS: This is such a great smell. I add it to some soaps, and also any of the products I make for cleaning. It leaves such a lovely scent behind and always makes my house smell good. Defintely one of my favorite essential oils. COMMENTS: A wonderful scent that is refreshing and happy. A great seller in my body butters and massage oils. "Doesn't last in cp soap"
COMMENTS: I used 75% of this pink grapefruit e.o. and 25% litsea cubeba e.o. as an anchor and it smelled super strong when I first made the cp soap, faded after cure but still smelled nice, and 2 weeks later, I can barely smell it. The scent itself is very nice, but really doesn't hold well. I also tried it in a body powder and I had to use a lot and it still seemed to fade pretty quickly. COMMENTS: I love this oil in my melt + pour soap, it smells AMAZING. I made a soy candle with the same oil to test and unfortunately, it had a strange metallic odor when burning but smells amazing when not lit! COMMENTS: I absolutely love this. It smells so fresh in whatever you use it in. COMMENTS: I love to use this as a stand alone fragrance, as well as a blend. Works beautifully every time! Fresh and invigorating scent, and a great price! COMMENTS: Awesome!! Bought this fragrance to add with other scents but love it all by itself!! COMMENTS: Starts out smelling so good but like so many citrus scents it disappears quickly. I wish it had stuck because it smells so much like tbe real thing. COMMENTS: Really does smell like fresh cut pink grapefruit. Holds up well in cold process soap but does dissipate after a while. Make sure to make in batches that will sell quickly. 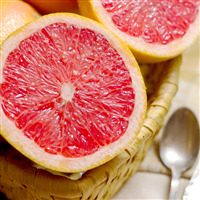 COMMENTS: You cant go wrong using Pink Grapefruit EO in your products! Its a wonderful scent for any time of the year and adds great medicinal properties as well. COMMENTS: Right out of the bottle, this fragrance is a good mix of tart and sweet. It lost some strength in the lotions I made (at the minimum amount), so I will probably increase the % just a tad next time. "Thumbs Up for Pink Grapefruit EO"
COMMENTS: This Essential Oil has a perfect, long lasting fragrance that stands up to cold process soaping with great results. This is perfect for my household cleaners also. Love, Love, Love!! COMMENTS: This EO is fantastic! Its a perfect wake me up in the morning scent. Its so clean and bright, I love it. I use it in my citrus creations. Its perfect in body wash, it wakes me up and helps me start my day. Yay Grapefruit EO! I am a fan! COMMENTS: I loved the scent of this pink grapefruit eo. After a 6 week cure in my cold process soap, the scent wasn't as strong as I would've liked (I used .8 oz per lb. ), so I will have to adjust my recipe. Overall, nice scent and I would consider purchasing it again. COMMENTS: This is a great EO. It really seems nice and fresh. Great quality! COMMENTS: Smells just like a grapefruit. I mixed it with an orange scent. Smells so good. COMMENTS: This scent is timeless! It is Fresh and clean. 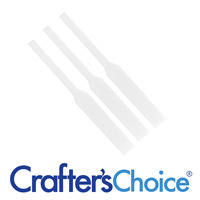 Perfect for all of your product needs! COMMENTS: Not a bad oil, but not as strong as other pink grapefruit oils I have used. You have to use a lot to get the scent right and it fades too quickly for my liking. COMMENTS: This oil makes a great fresh scent for shampoo and conditioner as well as soap. COMMENTS: Used this one in cp soap and worked well. It has a light smooth citrus scent. COMMENTS: I absolutely love this fragrance oil. I wasn't sure I needed to order it because I already have Grapefuit. But I am so glad I did, it has a sweeter smell than the regular Grapefuit, there is definately a difference. COMMENTS: I ordered this oil to use in soaps, lotions, hair products, and lip balms. It smells amazing! The price was great for the size. COMMENTS: i couldn't be more delighted with the scent of this oil. It smells EXACTLY like peeling a fresh grapefruit! COMMENTS: This oil is perfect for clarifying scrubs and soaks. Fresh, sweet, clean. COMMENTS: I have used several different essential oils and this is the first time that I have not been happy with one. I used the pink grapefruit in a body butter @ 3%. I cannot smell it in the butter after 6 weeks. It was light in the beginning, but is now nonexistent. Sorry, but as good as it smells, I can't say that I will buy this again. If I can find it in a fragrance oil, I might try that, but this eo is a one time purchase. COMMENTS: The smell is not as strong as some others I have used, but it was still great. My clients have really liked they grapefruit and honey soaps. COMMENTS: Was surprised to see how much I received for the price Held well in bath salts but not in Cold Process Soap Need to use Litsea to anchor the scent. COMMENTS: Love this essential oil and so do our customers. COMMENTS: I have always LOVED the scent of grapefruit - it has been my life long favorite. This is a gorgeous scent on it's own or mixed with so many others! COMMENTS: Smells like a freshly cut fruit. Great for my summer blends in hot process soap and bath salts. COMMENTS: I love this essential oil for my lip balms. It's super refreshing and smells amazing! "Close to the Real Thing"
COMMENTS: It is a little strong, but I like it and will keep on using. COMMENTS: Great scent in exfoliating facewash. Customers like it. Will continue to purchase for that product. COMMENTS: Pink Grapefruit is one of my favorite essential oils. Price is fair and I'm making an entire collection with this for the spring/summer season. "OOB strong, a bit faded in soap"
COMMENTS: This was perfect when I opened the bottle, but faded quite a bit when I used it in HP. I made a blend with other citrus eo's and they all seemed to anchor each other, so I guess I will stick with that, and get a FO to try for a grapefruit only soap. COMMENTS: This is one of my favorites! Love this in sugar scrubs. It just smells so juicy and delicious. COMMENTS: This has a wonderful refreshing smell to it. I love it. My house smells wonderful after making some soaps. I would buy this again. Mixes well and doesn't leave a funny color. • Doesn't change the color of soap. COMMENTS: I really like this scent. Smells just like fresh grapefruit. Will blend nicely with other citrus scents. COMMENTS: I was excited to try pink grapefruit for my cold process soap. The smell is wonderful by itself but was completely lost in cold process soap. "Smell just like the real grapefruit"
COMMENTS: The smell is strong when I open it. The smell is just like the real grapefruit. Just blend it with lavender to make a batch of CP soap. I will see if the scent is hold after a month. COMMENTS: At first I was afraid the scent would be too strong but it's not and I will definitely purchase in the future! COMMENTS: Love, love, love this essential oil! I used it to make soap and also use it in my homemade deodorants! It is very energizing and uplifting. Smells super fresh and just like a fresh Ruby Red Texas Grapefruit. I will definitely be buying this again! COMMENTS: Loved this Grapefruit EO. Smelled EXACTLY like fresh grapefruit and was very uplifting in my soap. No discoloration, smelled great, gelled cp. COMMENTS: I use this in my face masks for a natural clean scent...long lasting and offers natural care for the skin. COMMENTS: I love this EO...used in soaps, scrubs, bath fizzes. Smells just like a freshly squeezed grapefruit...sweet and tart! Has a light yellow color to it, but does not discolor soaps. It'll make a great year-round scent, because it's popular among many. The price is also affordable. COMMENTS: Has a really nice smell. Realistic, but not too tangy. Just a touch of sweetness to it. Very fresh. COMMENTS: Love this eo. Definitely pink grapefruit! COMMENTS: Used in a face mask loved it. Didn't want to rinse it off! COMMENTS: Made a batch with this, blood orange, and cinnamon leaf. It is incredible. COMMENTS: Nice fresh scent! Good feedback from my customers. 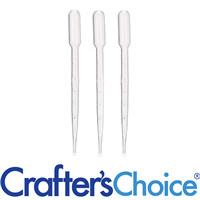 "This is a must have,"
COMMENTS: Every one that used it had the same answer, makes me wake up and happy in the shower, can't say enough good things about it, behaves like a dream in CP soap, smell sticks well after curing and awakens when in contact with water. WSP love your EO's, will stick with them in the future. COMMENTS: My first thought when smelling this was "can you drink this stuff"? Of course, I know the answer to that, but I'm a grapefruit lover and this so appealed to me. Right on the money. More importantly, I'm having a lot of great feedback from customers. It has held scent and been very easy to work with in my products. COMMENTS: This e.o. smells just like a fresh, juicy grapefruit. It's a great summertime scent or excellent in the morning to help get me moving. I love it in a scrub. You can't go wrong with tart, juicy grapefruit combined with sugar! COMMENTS: Love to use this in my cold process soap. The scent smells just like I cut open a grapefruit. COMMENTS: I love this EO! It smells perfect in everything I have added it to! A great additive to my spring/summer scents! COMMENTS: Great pink grapefruit scent, I love this in blends! Good value too. COMMENTS: This Pink Grapefruit rocks! It smells so delicious I could almost eat it! COMMENTS: I must say that so far this has been my best seller! Everyone loves the scent, it's somehow uplifting and comforting at the same time. Very crisp, sweet scent, nothing bitter about it! I've not tried the other grapefruit EO that is sold here, but I'm so happy with this one I don't want to risk being disappointed if the other isn't as nice! Good price, too! Try it, you'll love it! I've read about some of its aromatherapy properties, one is for reducing appetite in food addicted people (me), and I must say that I notice a difference in my appetite and/or desire to eat whenever I work with this EO! I'm not making any claims, but, hey, whatever helps, right!? COMMENTS: Perfect scent just the way that it is, no blending required. Almost everyone loves this scent!!! COMMENTS: This fragrance is right on with pink grapefruit smell. I added orange to it and what a wonderful citrus fragrance it made! COMMENTS: A wonderful grapefruit essential oil that I've used for fragrance and also for lip balm. I think it is a very true grapefruit with slight sweet edge. 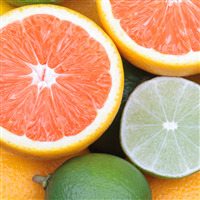 COMMENTS: Fabulous Pink Grapefruit EO smells especially wonderful in my CP soap and body butter. Fragrance holds well in CP soap,smells absolutely yummy smells like a freshly cut grapefruit. COMMENTS: Love the smell of this as do my customers. Great mixed with other essential oils or on its own. The smell has a lighter citrus bite than other essential oils in this family. COMMENTS: The BEST grapefruit EO that I have used !! Not too overpowering great to blend with other EO as well. COMMENTS: This is always chosen over our other citrus scents. Love this! COMMENTS: This scent is great. I used in my CP soap and love it. Will purchase again. COMMENTS: This EO smells like fresh pink grapefruits. Strong, but not overpowering scent. COMMENTS: I used to get my essential oils from another company, and not only is this brand better but i get 5 times more for my money. Cant beat that. COMMENTS: This was a TRUE Pink Grapefruit scent. I LOVE it, it's a customer favorite as well. It was a good price, essential oils are always expensive but WSP makes the within reach and makes sure they are buying from solid source. As a retailer who buys from WSP to stock my shop, I depend on them for their research into the quality of the products. They definitely take that seriously ands it's why I trust them. COMMENTS: This is one of my favorite EO's!! Its fantastic! It gives me a "pick me up" feeling! My favorite after Lemongrass! COMMENTS: I was pleasantly surprised it has a wonderful crisp yummy scent- wakes you up.